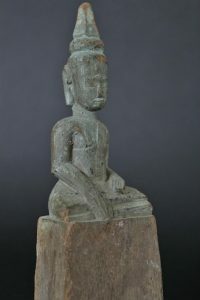 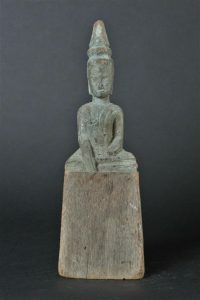 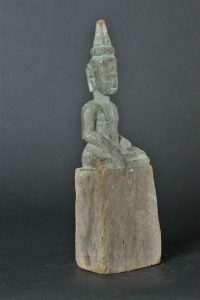 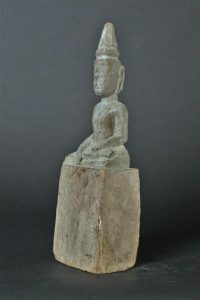 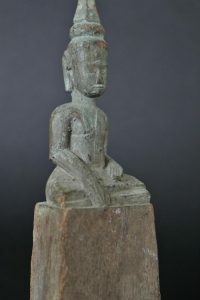 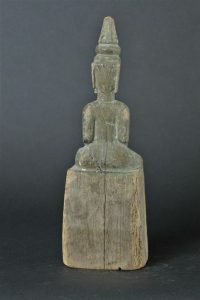 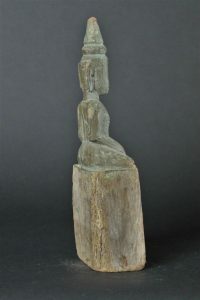 South Laos Folk Buddha around 1900 on a square base. 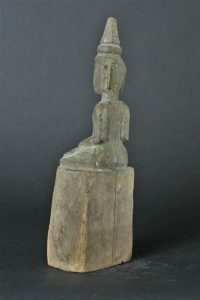 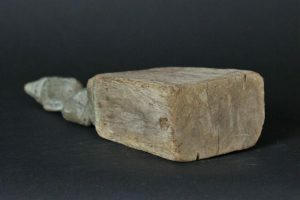 Thes simple Tribal wooden locally carved by a villager to offer to a srhrine in a cave or under an overhanging rock under a large very old tree. 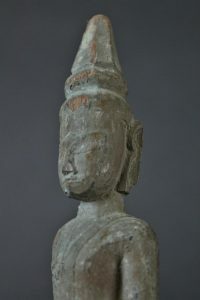 Still some green paint reminance.